Hey guys! 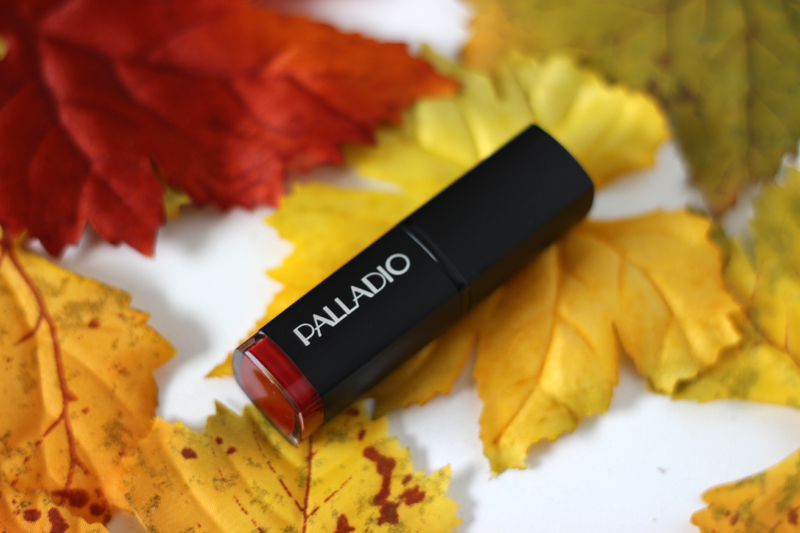 Today I have a very exciting post on one of the new Palladio matte lipsticks! They were recently released on there website and they come in 9 different shades. 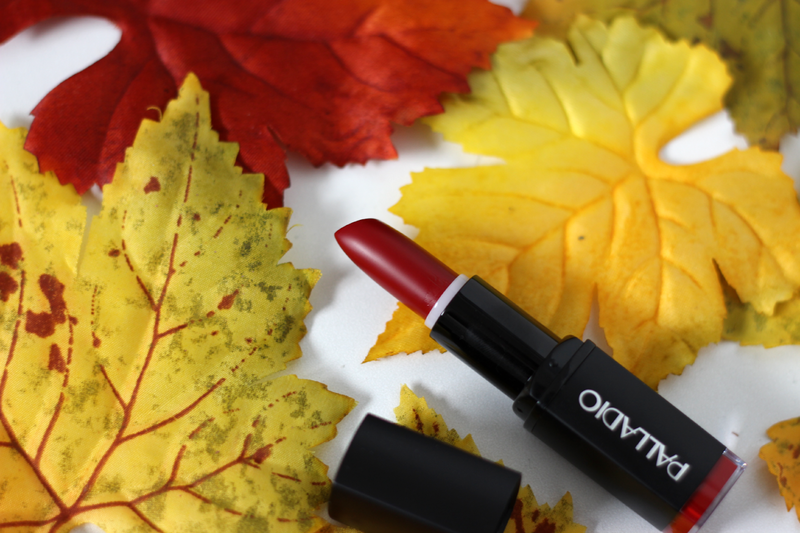 I am honestly such a fan of matte lips for the fall time so I was so happy when I found out they have matte lipsticks now too! The color I will be showing you guys today is in the shade Red Carpet which I know this color is going to be a huge hit for the fall and winter time. Red Carpet is a true rich red color. I do not own any red lipsticks that look this amazing. Is such so dark and almost vampy on the lips. It does have more of a purple under tone, so there is no hint of orange which I LOVE. One thing I noticed right away about this lipstick was how opaque it was. When I applied it on my lips it just glided on so easily and you didn't have to push down, or pack on the lipstick for good color pay off. 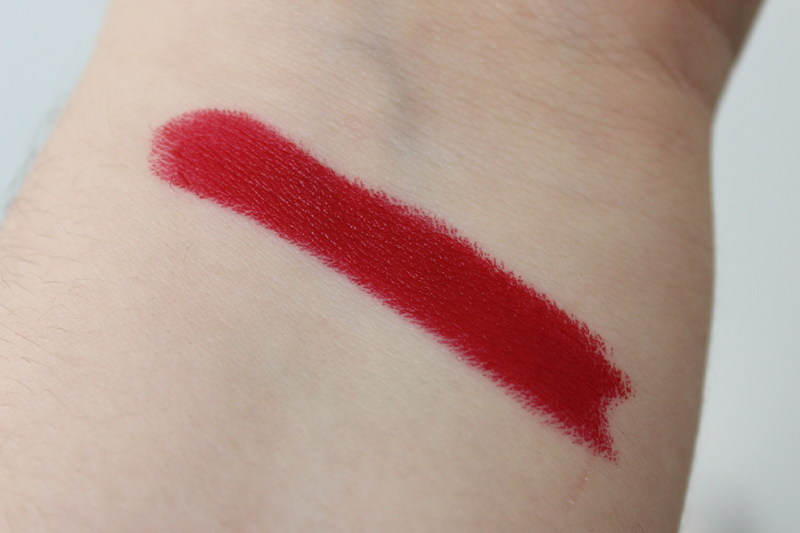 Since this is a darker matte shade I would recommend applying a lip liner of some sort, or even lining your lips with the lipstick first because it can get a little crazy when applying if your not super careful. Also, normally matte lipsticks are pretty dry, but this one was had a lot of moisture and it didn't set on the fine lines on my lips which made me happy because I was so scared that it would set into the cracks but it didn't. 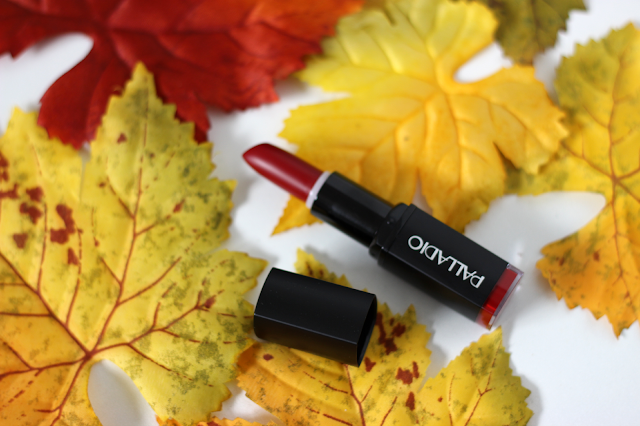 And because it is so moisturizing, the lipstick its self is made with safflower oil which helps lock in that moisture. And I must say, I am in love with the packaging. It's just a black matte packaging which I do prefer compared to the other lipsticks that are in the silver packaging. Black just makes everything look so classy and looks amazing in my acrylic organizers. Overall I am very pleased with this lipstick and I hope to purchase more in the future because I am in love. I would highly recommend this shade for the fall and winter time. I think it would look good on any skin tone. You can purchase this lipstick as well as the other matte shades at http://www.palladiobeauty.com/ and they are only $7.00. That shade is truly beautiful! Looks like hero from nyx round lipstick line but it's matte which I'd love to have!! I think of berries and wine! That shade is super nice! It looks very luxe from the swatch, like it should cost a lot more than it really does. Oh my goodness that red is gorgeous and for the price? Its taking a lot not to buy a handful right now.